Facebook is used by more than 1 billion people worldwide. For most organizations, it has become a necessary tool to drive business. So, how can you leverage your Facebook account to increase engagement with your audience? Well, we're about to show you two awesome ways. 1. Include a Call to Action: a.k.a. Sign up for our awesome newsletter! This updated Facebook feature provides a call to action located beneath your cover photo. We are a big fan of using the Sign Up button because it will automatically redirect your Facebook followers to your Cerkl Content Archive, where they will then be prompted to subscribe by our cute little mascot, Sparky! This button can be easily added to your page if you are an admin, editor, moderator or advertiser of your organization's Facebook page. You can add the button to your page by clicking +Add a Button below your page’s cover photo then select Sign Up from the dropdown menu options. When prompted, you will want to include your Cerkl's Facebook link located in Settings > Social Links. Your link will appear at the top of your screen. Pretty easy, huh? We thought so, too! 2. 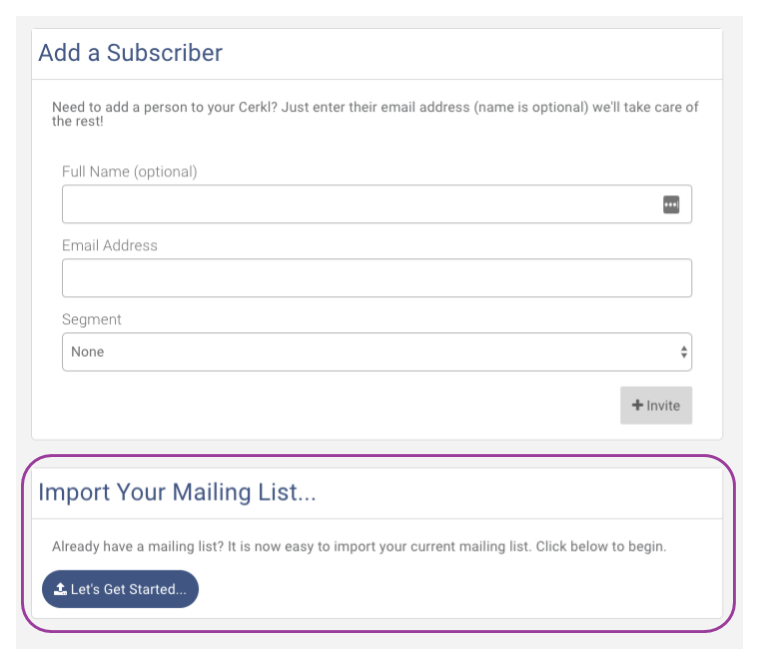 Turn Lead Ads into New Cerkl Subscribers: a.k.a grow your list! Another great tool that Facebook provides for it's administrators are lead ads. Lead ads help you collect not just contact information, but everyone who clicks on your ad will be prompted with a short form that you can personalize. You can then download your leads directly from Facebook and upload them straight into Cerkl! To export your leads from your Facebook, follow these steps: Head to Publishing Tools > Lead Ads Form. Within the Forms Library, choose the preferred form and click download. Click Download New Leads if you want to download all of the updated leads since your previous leads download. It will be downloaded as a CSV file. Download by Date Range if you want to select a specific time period of collected leads. After that, click the Lifetime option from the dropdown, select a time period and hit Update. Click Download to finish downloading your leads as a CSV file. After you pull your leads from Facebook, take these steps to upload them into Cerkl. To navigate to this page, select Audience Management > Add Subscribers. Cool Feature Alert: You don't need to worry about duplicates because Cerkl deletes one of them automatically! Also, Cerkl reads the email as the "key" - so any name updates can be uploaded with the original email and those changes will take effect for that subscriber.